Beautifully Simple! 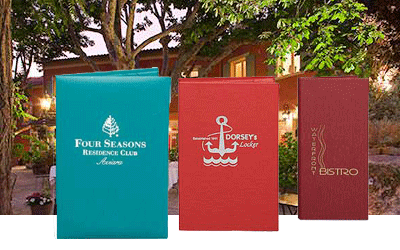 Our Del Mar line is a turned case style menu cover. Make an excellent first impression with these quality covers. 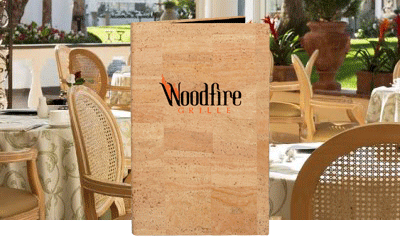 Choose from one of our Leatherette or Linen materials for a streamlined menu cover. Our Del Mar line can be padded or turned and glued over a thin board. The smooth solid covers make a perfect presentation. 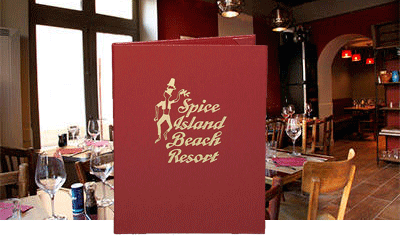 Matching wine books, dessert menus and specialty menu covers complete the look. Slim-Lined, Contemporary Menu Covers. Bring clean European styling to your diners with our Naples menu covers. These textured hard cover menus are sleek and contemporary. Choose from the high-tech Techno finish, to many colors of Metallic. With the bright and vibrant colors of Glean and Lizard you will find a material that accents any décor. Decorate with a foil stamping, or with a window. For a look of genuine wood at an economical price our Faux Wood is an excellent choice. Non-padded with leatherette lining this menu cover is lightweight. We stock many colors of the Faux Wood and the decoration for this cover is Burnishing. When you Burnish the logo it darkens the material to create a “branded look” We do not recommend foil stamping on this material. 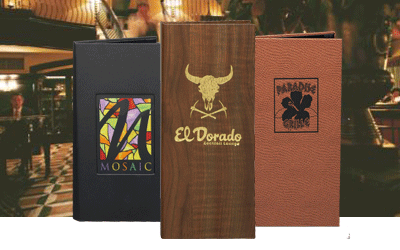 You can attain a full cork or a combination menu cover with using cork accent and permaline leather like material. The construction is made stronger by the use of stiff boards and turned edges. These are also lined with moiré silk giving a smooth finishing. These products are available in variety of shades including light cork and dark cork colors.